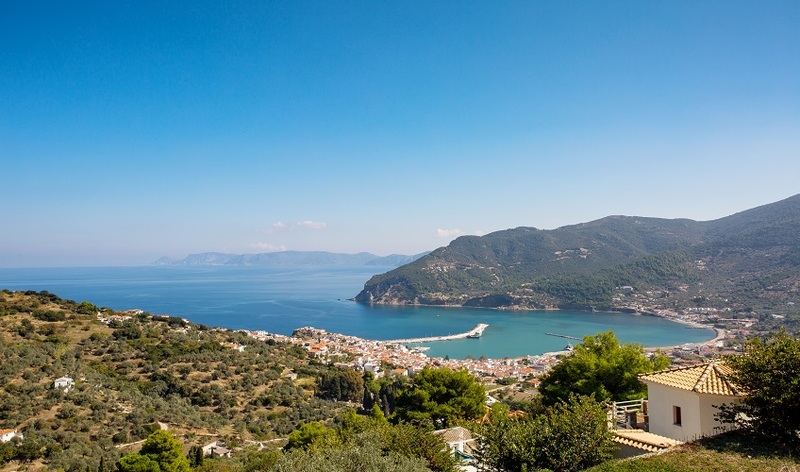 Skopelos is the largest and most verdant of the Sporades Islands with a mixture of pine and olive trees in a lush green dense forest. 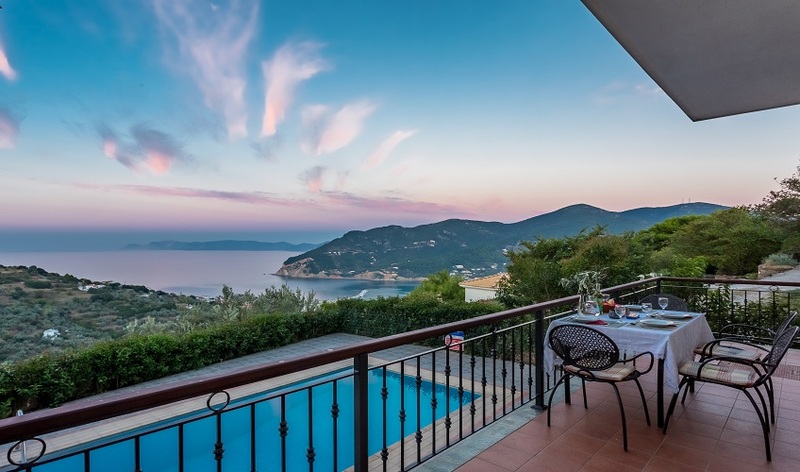 The ragged coastline combined with spectacular blues of the sea and sky, the white washed houses all blend harmoniously making Skopelos one of the most prettiest traditional Greek islands you could wish to visit. 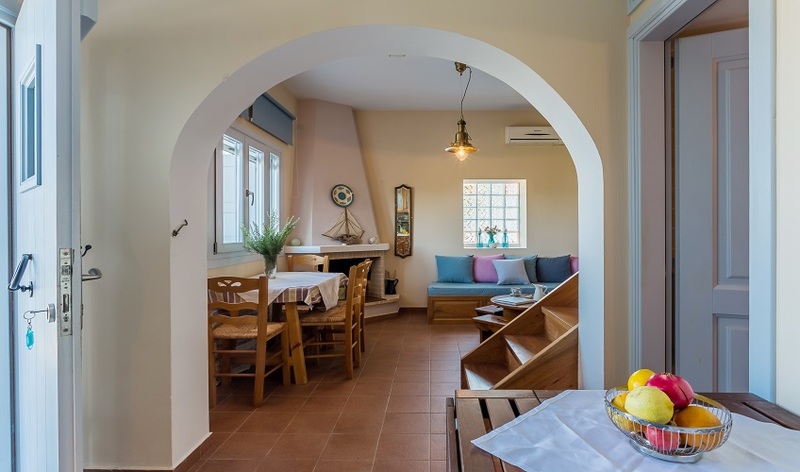 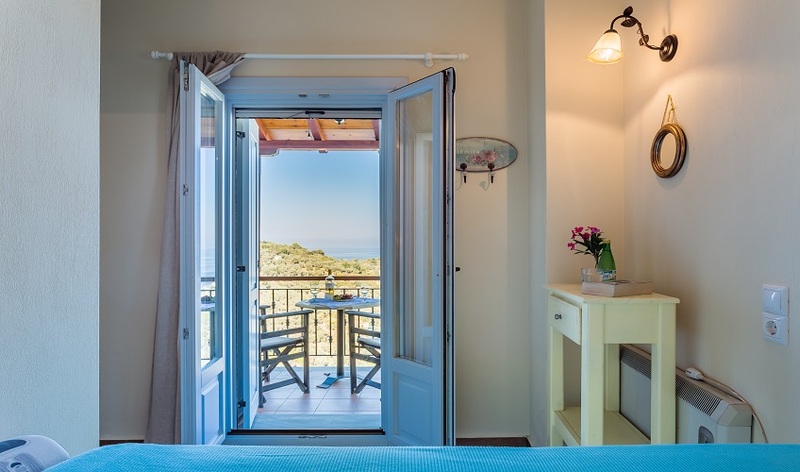 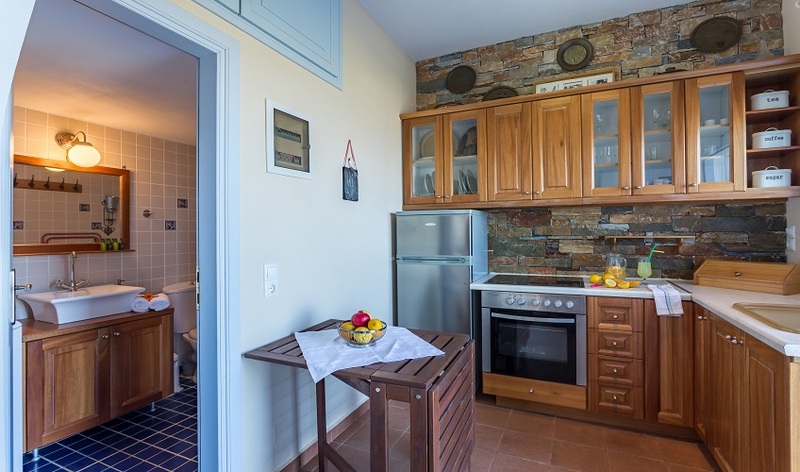 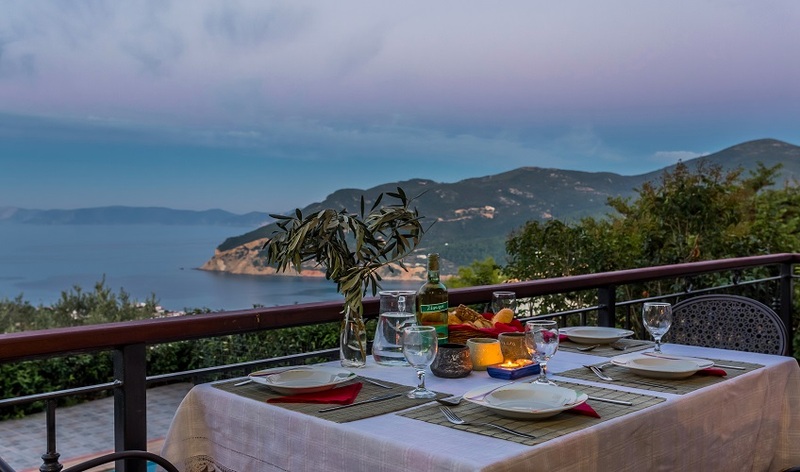 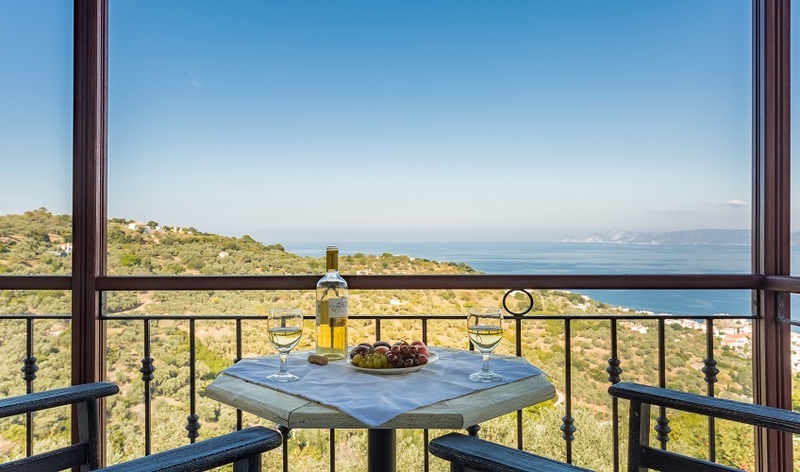 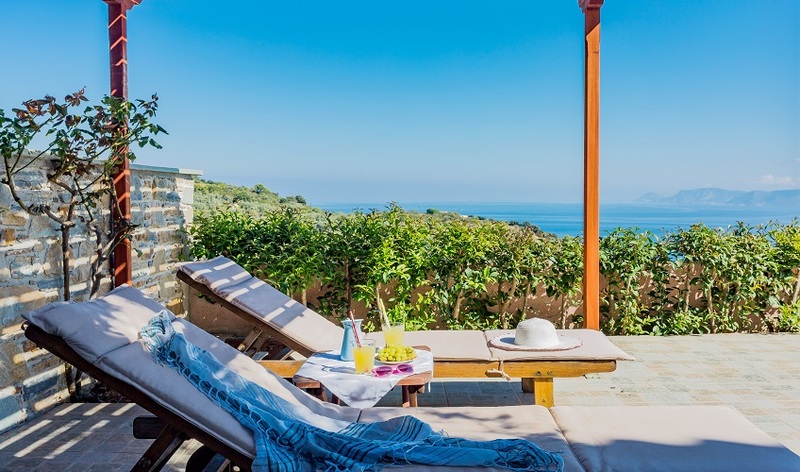 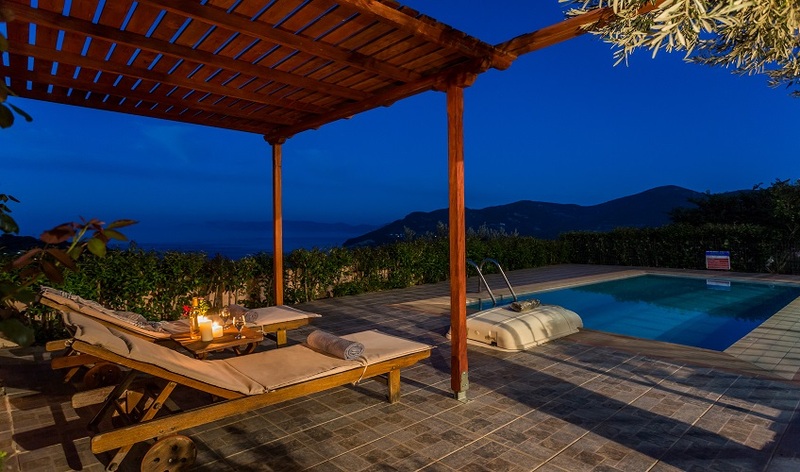 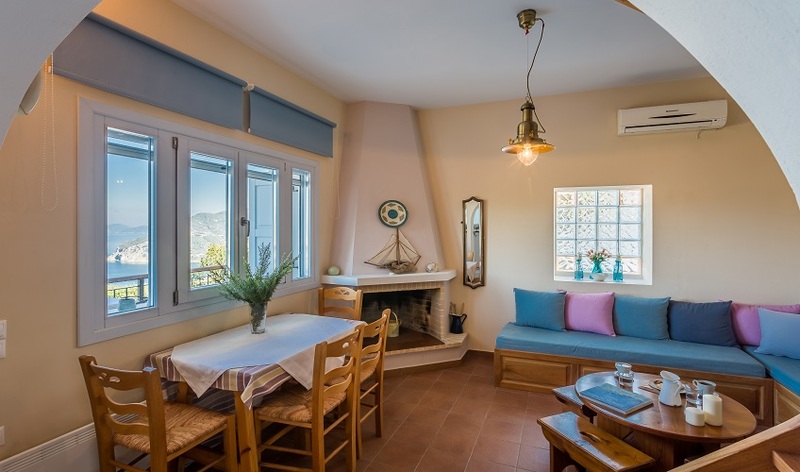 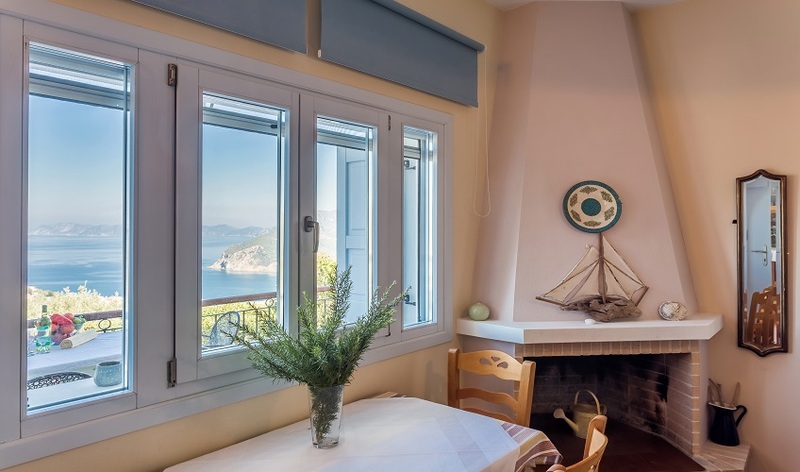 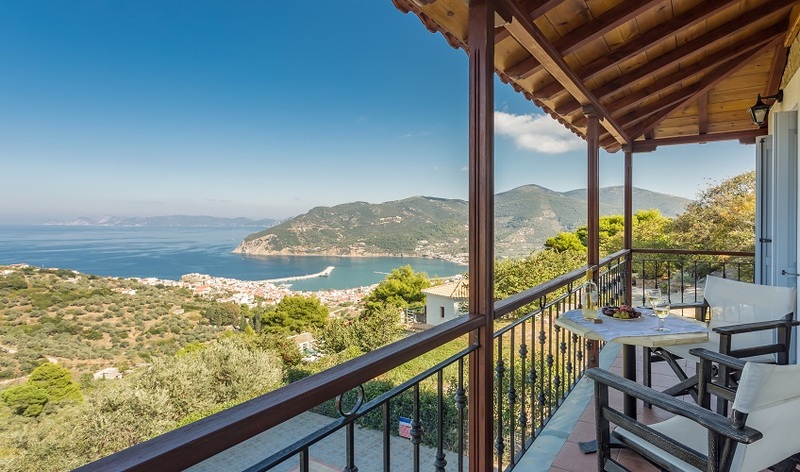 We have a wonderful diverse range of accommodation on Skopelos which includes the lovely Villa Alegria, a one bedroom traditional built stone villa which sits in an elevated position in the hills above the town with spectacular harbour views and the island of Alonissos. 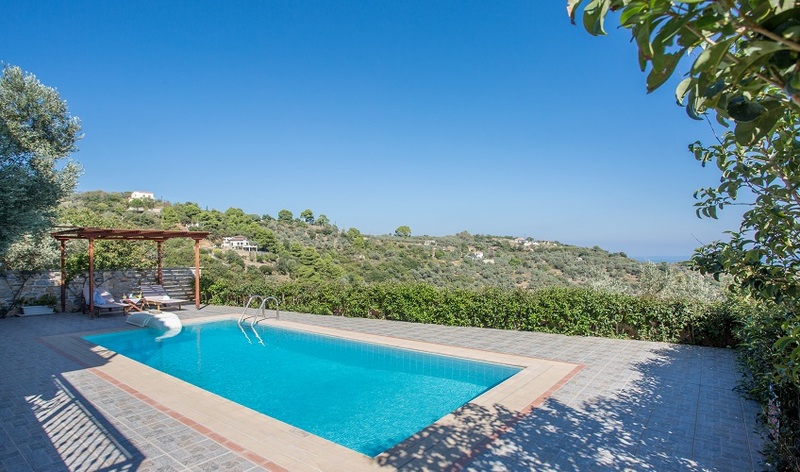 The villa whilst one bedroom does offer a further single room for third occupancy. 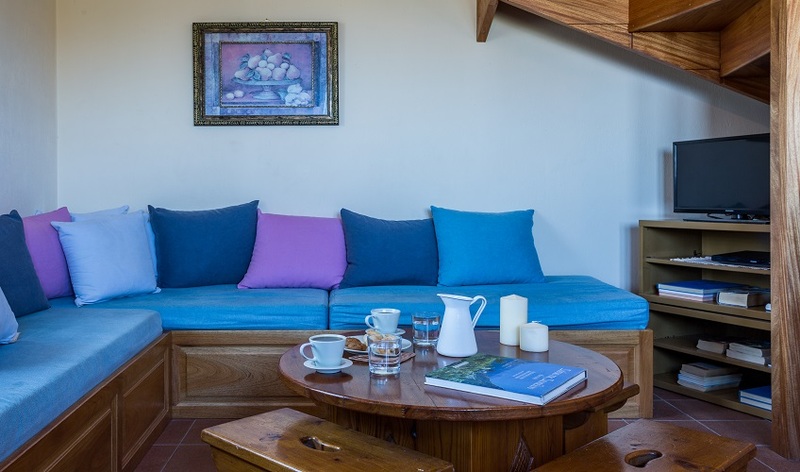 The open plan lounge/kitchen is well equipped with a full size cooker & fridge freezer and the lounge is comfortable and has a TV (limited channels) DVD and CD player. 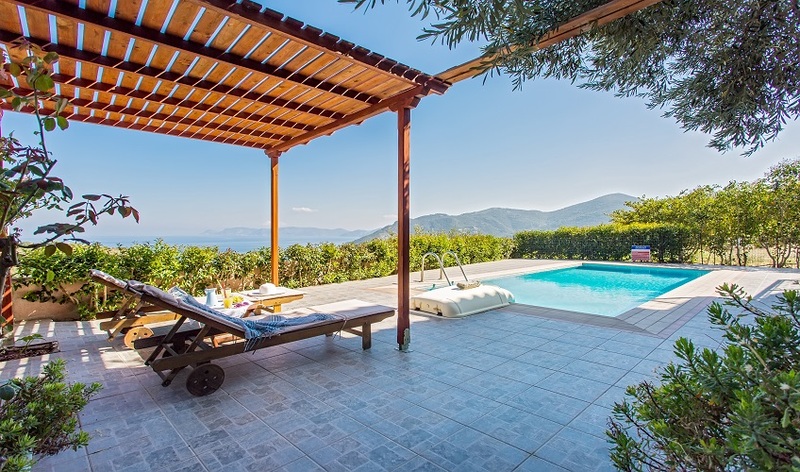 For those who enjoy outdoor living the villa Alegria has a barbecue & outdoor sink for those lazy lunches and evening meals, perfect for alfresco dining by the pool. 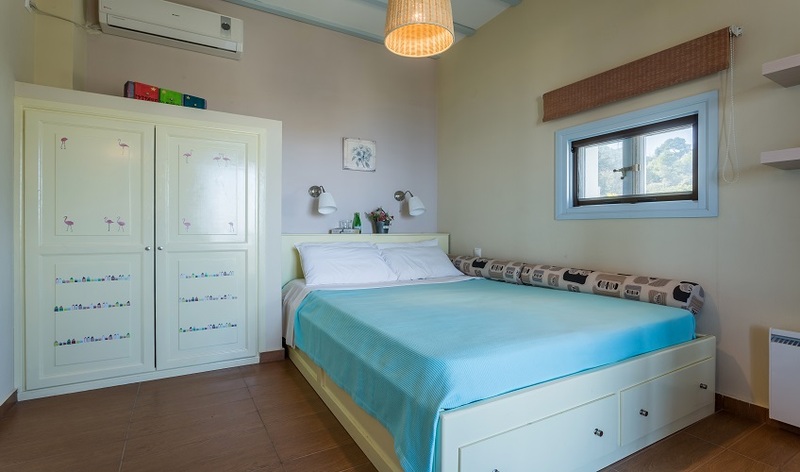 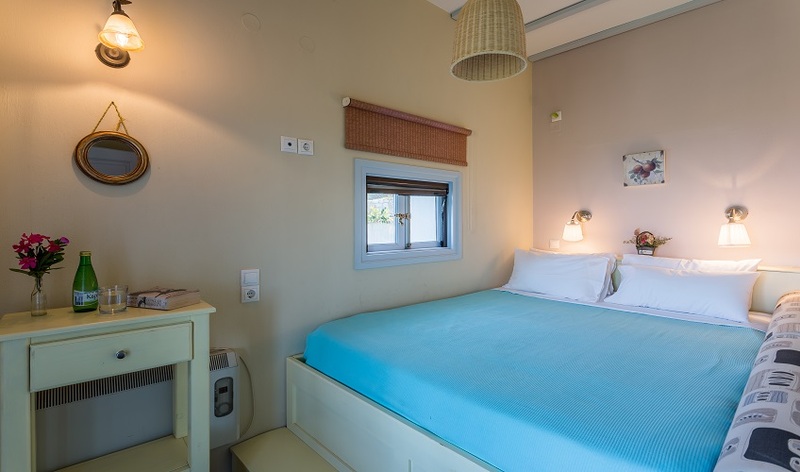 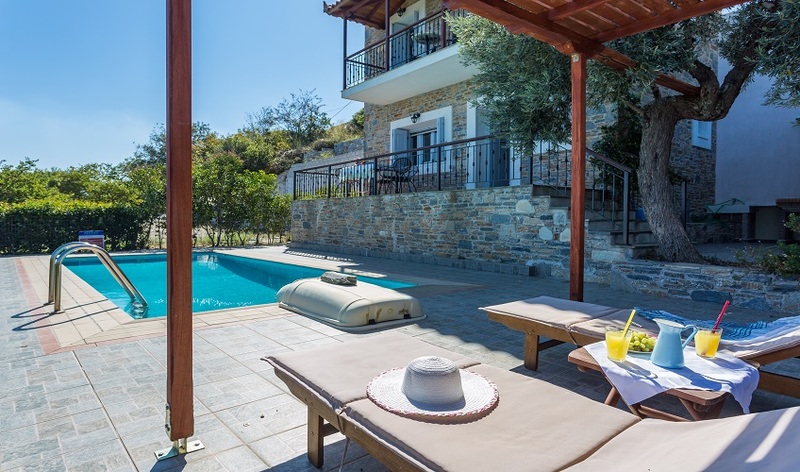 This lovely one bedroom villa with its own pool is perfectly positioned for those who are looking for a holiday to get away from it all in lovely surroundings but not too far from Skopelos Town to enjoy all the amenities the island has to offer. 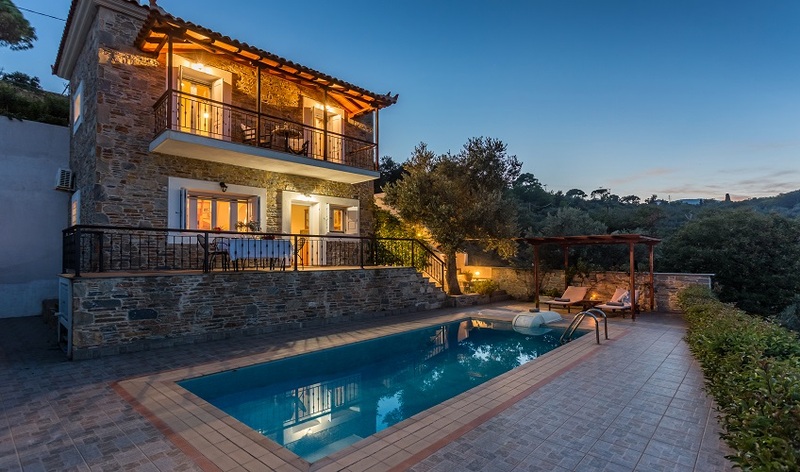 NB: Due to the number of steps the villa may not be suitable for those with walking difficulties.